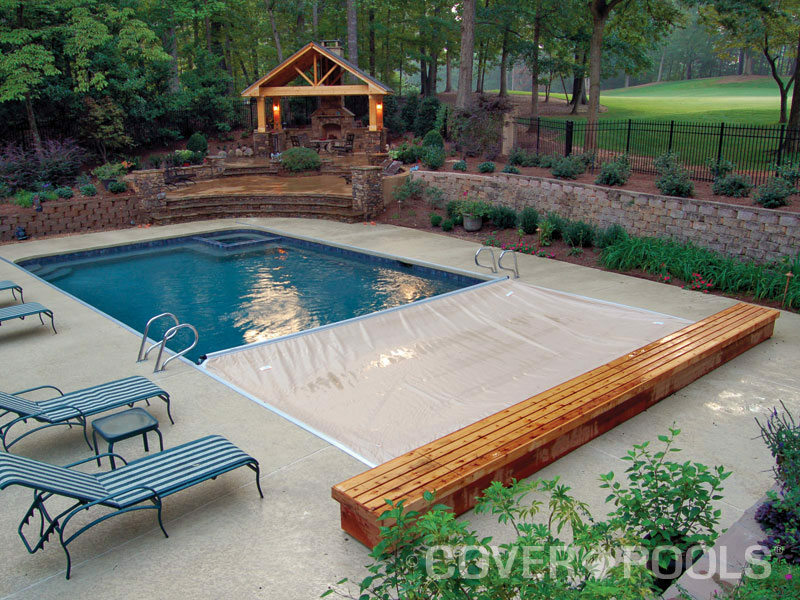 We cover existing pools by placing low-profile track near the edge of the pool. 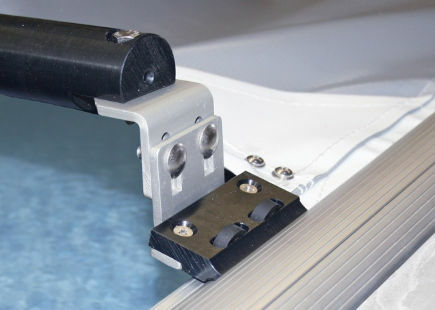 The cover mechanism can be housed either underground (recessed) or on top of the deck (deck-mounted). 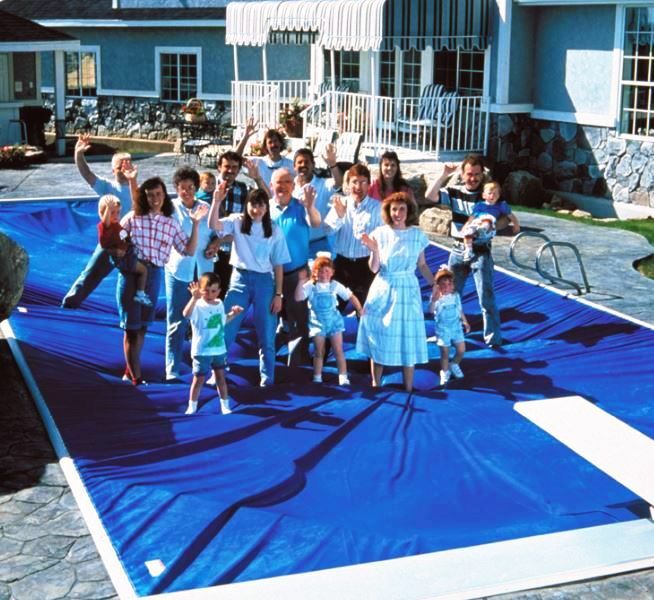 Can the track system be installed at the widest part of the pool with the tracks running parallel to each other? 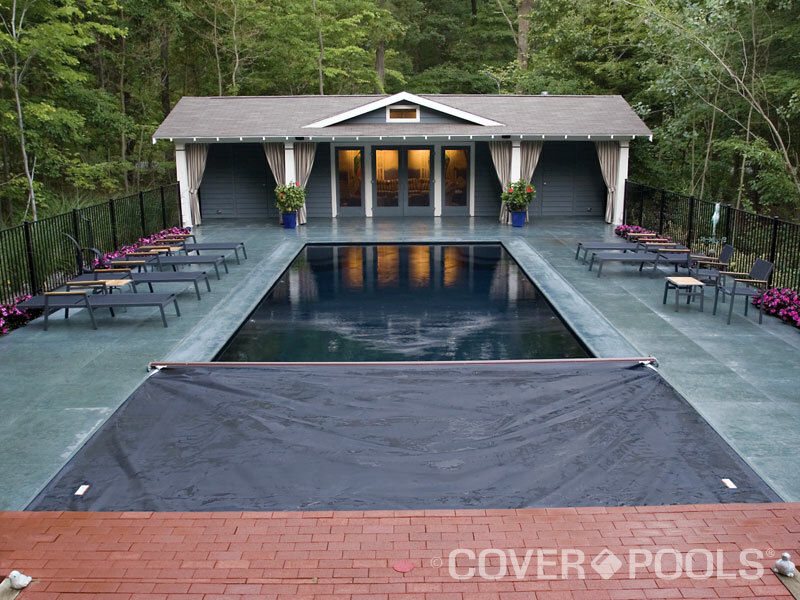 Is there room at one end of the pool to accommodate the pool cover mechanism? Are there any obstructions (raised spa, fountains, boulders, etc.) that would prevent our track placement along the pool edge? 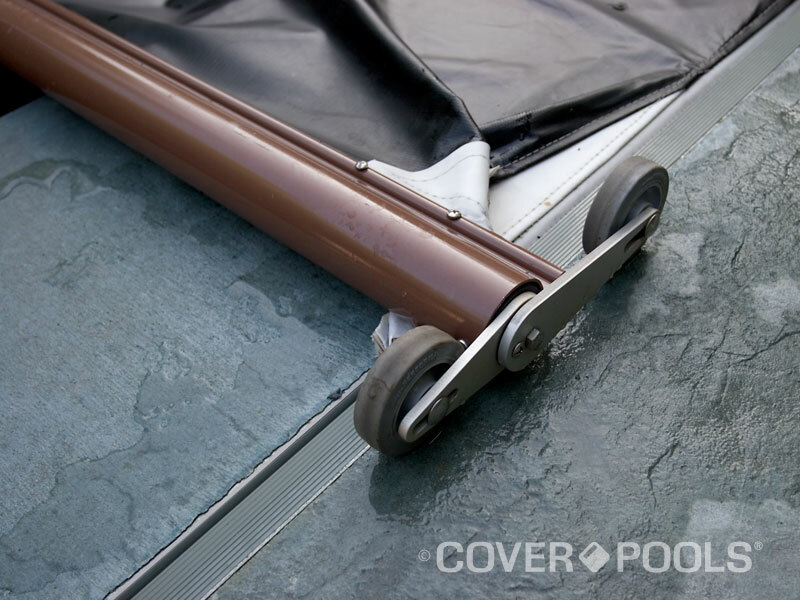 The Universal track system uses an adjustable dual-wheel assembly to guide the cover smoothly along the length of the pool. This versatile track is a low-profile aluminum guide similar to a door threshold. 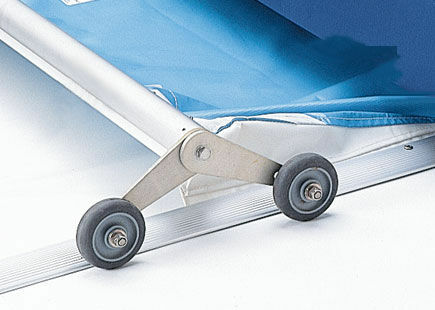 The SnapTop™ Universal track offers the added feature of concealed screws.